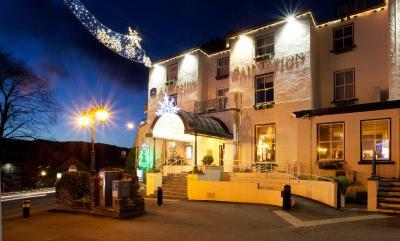 Lock in a great price for Ambleside Salutation Hotel & Spa, BW Premier Collection – rated 9.2 by recent guests! The kind and friendly manner in which I was treated by the staff sticks out most in my mind. The accommodations were comfortable, the pool was very convenient and the right size for exercising, and the physical location is hard to beat. The view of the mountains from our room was spectacular. We weren’t in the expensive rooms, yet it was all beautiful. The hotel was warm and welcoming , staff were friendly and helpful. 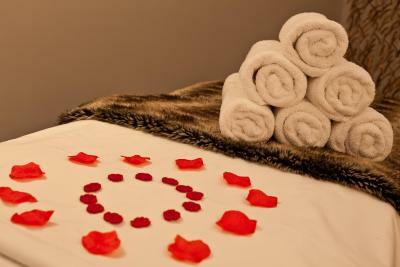 The spa was immaculately clean and delightful to use. Dining room was classy and the food and service were Good. We had a lovely time at the Salutation Hotel. We got a free upgrade to a suite which was gorgeous. The spa facilities were excellent. Nice swimming pool. Overall staff was very polite. 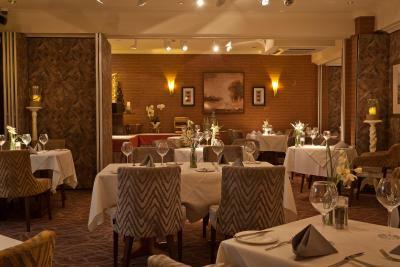 Cleanness of the room, food , and the staff working in the restaurant . 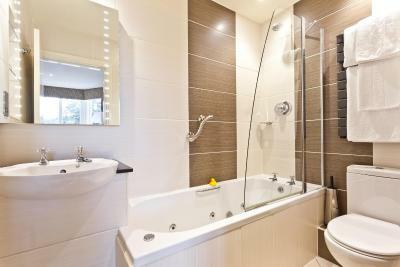 great location, great amenities, overall pleasant town/village and Jacuzzi bath in my room. Location excellent for my business visit - I have also stayed here on short holiday visits- Staff extremely helpful and friendly. Excellent cleanliness throughout. Ambleside Salutation Hotel & Spa, BW Premier Collection This rating is a reflection of how the property compares to the industry standard when it comes to price, facilities and services available. It's based on a self-evaluation by the property. Use this rating to help choose your stay! 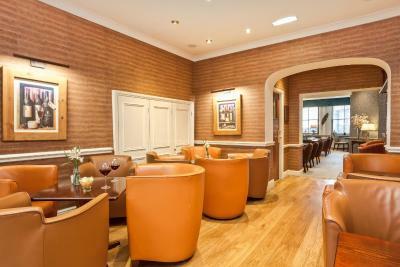 With a picturesque location in Ambleside, Ambleside Salutation Hotel & Spa, BW Premier Collection features a modern spa and a brasserie. 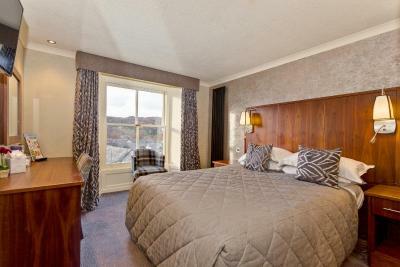 There is free parking and spacious rooms with free WiFi and scenic views towards Wansfell. 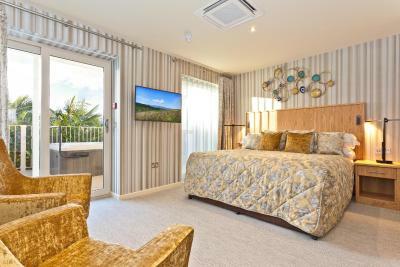 The traditional rooms are classically decorated, and each has a modern private bathroom with a power shower. 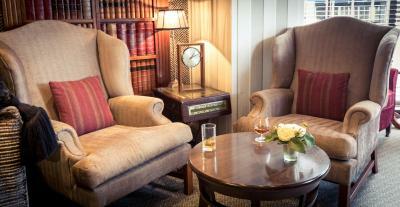 All rooms have tea and coffee facilities, a flat-screen TV and a work desk. Ambleside Salutation Hotel & Spa is set in a 17th-century building, and has a leisure club with a swimming pool, sauna, spa bath and steam room. There is also a fitness center and beauty spa. 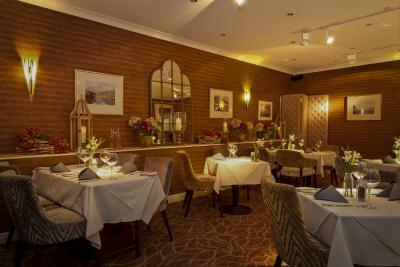 The brasserie serves a varied menu using local produce at both lunchtime and evening. 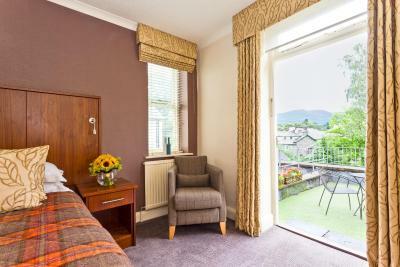 Located in the heart of Ambleside, Ambleside Salutation Hotel & Spa is surrounded by walking routes. Lake Windermere is a 20-minute stroll away, and Elter Water is just 10 minutes’ drive. 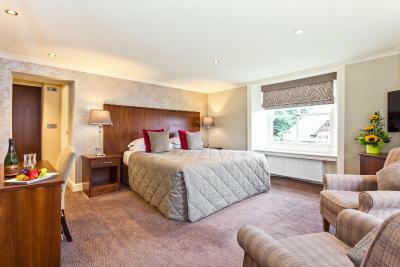 When would you like to stay at Ambleside Salutation Hotel & Spa, BW Premier Collection? This room is located in the lodge adjacent to the main building. 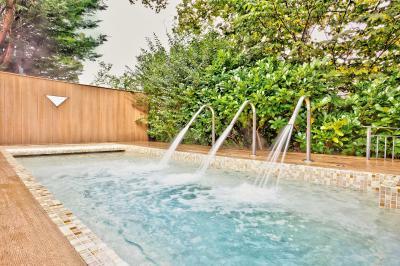 These rooms feature a hot tub. Some of these rooms are allocated in the Lodge adjacent to the main building. The other rooms are located in the main building. 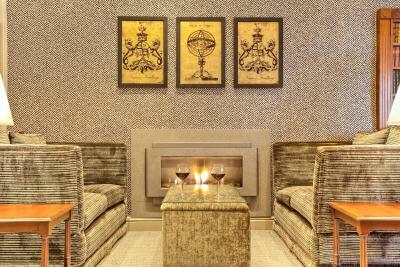 House Rules Ambleside Salutation Hotel & Spa, BW Premier Collection takes special requests – add in the next step! Ambleside Salutation Hotel &amp; Spa, BW Premier Collection accepts these cards and reserves the right to temporarily hold an amount prior to arrival. Ambleside Salutation Hotel & Spa, BW Premier Collection accepts these cards and reserves the right to temporarily hold an amount prior to arrival. Please note, rooms may be located in the new extensions or in the original building. 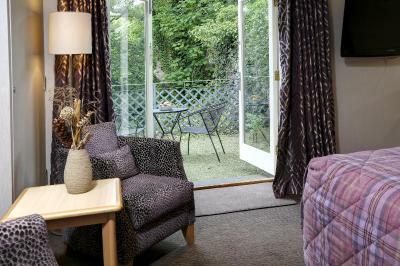 At busy times, rooms may be allocated anywhere in the hotel or its grounds. Please note that on the 6, 7, 13 and 14 December 2019 Christmas party nights will be taking place. Dinner is only available if attending a party and tickets need to be pre-booked. Exceptional position and very friendly staff. Health spa very nice. Car parking is awkward. Scraped car trying to get into tight space!! Very comfortable room. Good spa. Bedding very heavy Bed uncomfortable - but we have a waterbed at home so finding. other beds hard is par for the course When we checked in the receptionist told me that there had been a problem with my card - it had been declined. I knew nothing of this despite phoning beforehand to check all was well. Everyone in the vicinity heard and I was very embarrassed. Great location right in the middle of Ambleside. 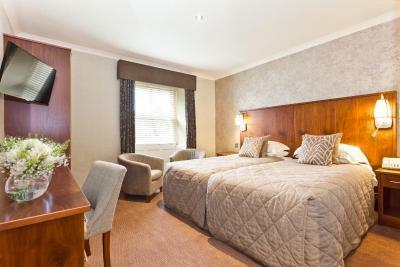 Very comfortable spacious room with great facilities. The bedroom was outstanding with amazing views of the river. We had the breakfast which was of a very high standard. We used the leisure facilities which was also excellent. There was nothing about our stay that we did not like. We were very impressed with the friendliness of the staff. The facilities were excellent, the leisure spa area was really good, and everywhere was very tidy and clean. The decor was good and the room was lovely. Both breakfast and dinner meals were also excellent, with great choice and all cooked to perfection. 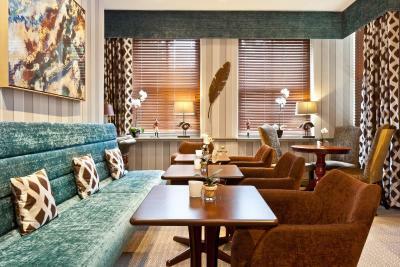 We really enjoyed our stay in Ambleside, and the Ambleside Salutation Hotel & Spa made it all the more special. The location was excellent and central. 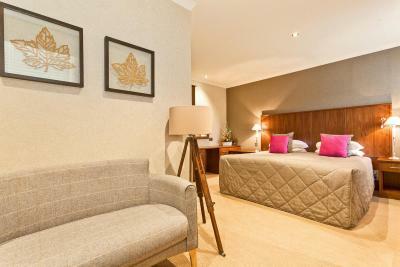 We had a suite which was very spacious and comfortable with an equally spacious decked/spa area. Would definitely go back again.